World Stages, local audiences argues that the forms of intimacy and identification that come from being part of the public of a local performance, provide a potential model for rethinking our roles as world citizens. Using his own experience of recent theatrical practice in Vancouver as a starting point, Dickinson maps the spaces of connection and contestation, the flows of sentiment and social responsibility, produced by different communities in response to global sports spectacles. He also analyses how such topics are taken up in the work of playwrights, conceptual, installation, and performance artists like Ai Weiwei, and Rebecca Belmore. 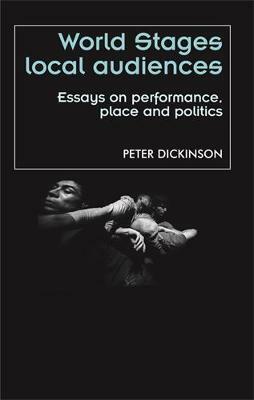 In so doing, Dickinson makes an original contribution to the emerging discourse on live art and 'livability' by examining not only the geographical and historical affiliations between different sites of performance, but also the - at times - radical new social bonds created by audiences witness to those performances. -- . Peter Dickinson teaches in the English Department at Simon Fraser University -- .